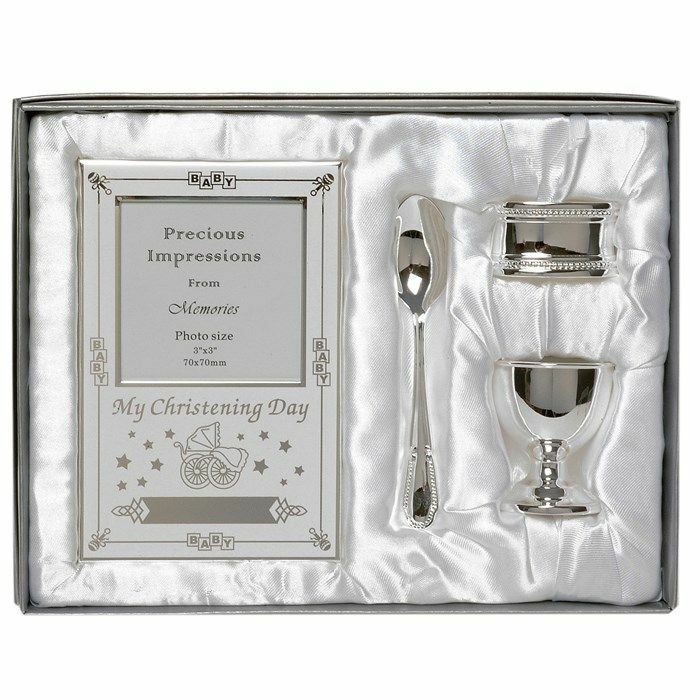 Beautiful Boxed Silver Plated Christening Day Gift Set - 4-Piece, Includes Egg Cup, Spoon, Baby Photo frame, Napkin Ring in Presentation Gift Box. The perfect christening gift for a boy or a girl. In a silver toned presentation gift box.